When it comes to campaign analytics and reporting, we've got you covered. We understand the importance of measuring the success of your sweepstakes or contest, and that comprehensive campaign metrics and a detailed analysis is key. We will determine your goals before launch and collect, analyze and report the corresponding metrics for you to measure your ROI. 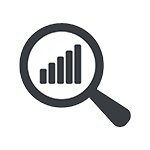 We also provide analytics as often as you would like; whether that is bi-weekly, weekly or daily. Regardless, we will provide you with what you need in your preferred format. Or, for those who prefer anytime access, we can provide a 24/7 admin site where you can access all of your campaign statistics anytime you would like. In addition, at the end of each campaign we provide a detailed digital campaign recap and set up a post campaign call to go over the successes of the campaign and ways to improve for future promotions. analytics to include but not limited to: social sharing, entries, prizes awarded, referral sites, bonus entries, etc.